Please be aware that current build time on this cable is 16 weeks. 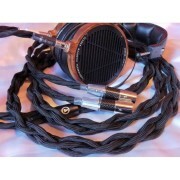 I am proud to offer you what I feel is the best sounding cable for the Audeze LCD-2/3 that has ever been made. 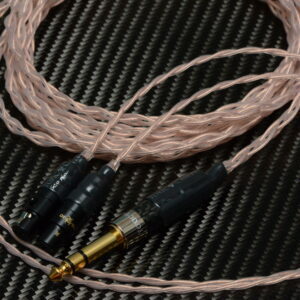 I have been working on this cable for nearly a year investing in R&D to bring you this remarkable sounding cable. 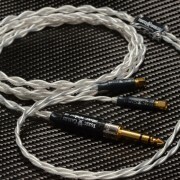 I tried or bought every other cable that I felt could be a match to the Venom and can say with the upmost confidence that none were. 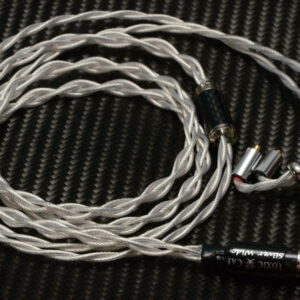 The Venom is the first ever headphone cable to use the 18AWG rectangular pure OCC silver wire. 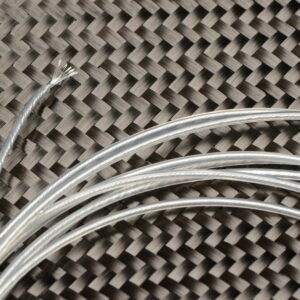 There are other manufacturers selling cables made with Retangular silver but these cables are all 22-24AWG. 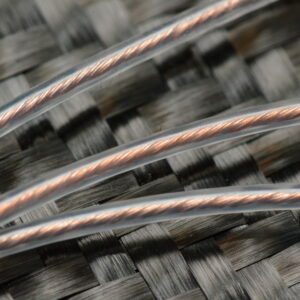 I use 18AWG OCC silver, I am using 8 conductors for this cable rather then the standard 4 wires others are using. 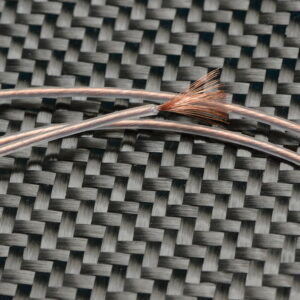 The wire is manufactured sleeved. 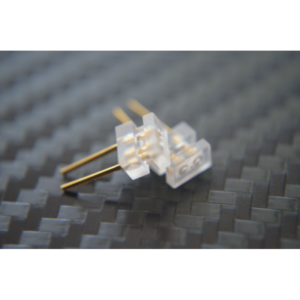 I then use an additional 2 layers of sleeving to protect the solid core wire to allow it to bend at 180 degrees without kinking. 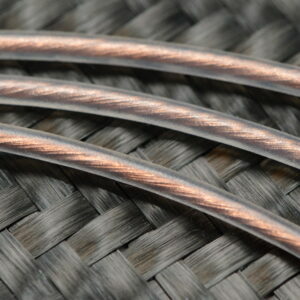 Two wires, one positive the other negative are then twisted together and sleeved in their own soft luxury nylon sleeving. 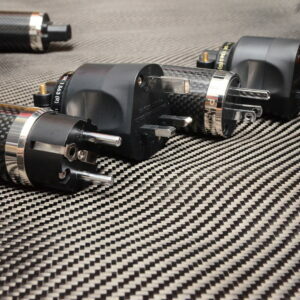 So we have 4 paired cables to braid into a litz braid providing a self shielding cable. Size wise this cable is quite large but don’t let the size fool you. 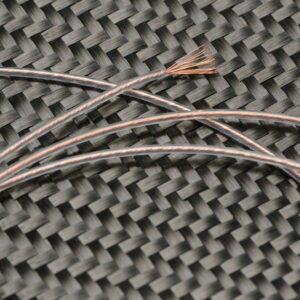 This cable is still very light and flexible, considering it’s size and the solid core wire that it uses. 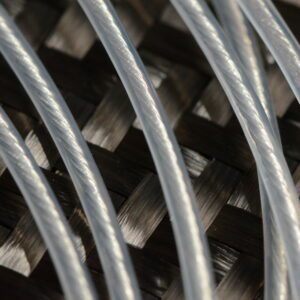 Solid core wire does have a tendency to snap when repeated bent in the same spot. I have done my best with the extra sleeving for protection to prevent this from happening but you still need to make sure to take good care of the cable and not bend it at sharp angles. The cables does come with a full 1yr warantee but this will only cover manufacturing faults and not user wear an tear, we do offer repair at cost price for repairs done out of warranty. 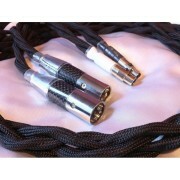 This cable comes as standard with Dual high quality carbon fibre XLR’s and the best Switchcraft shielded mini XLR’s on the headphone end with Viablue Y splits all round. I also offer a 1ft or longer adapters to allow you to use the cable with a 1/4″ jack plug, this adapter is sold separately and will only be sold with this cable or to customers who already own the Venom. 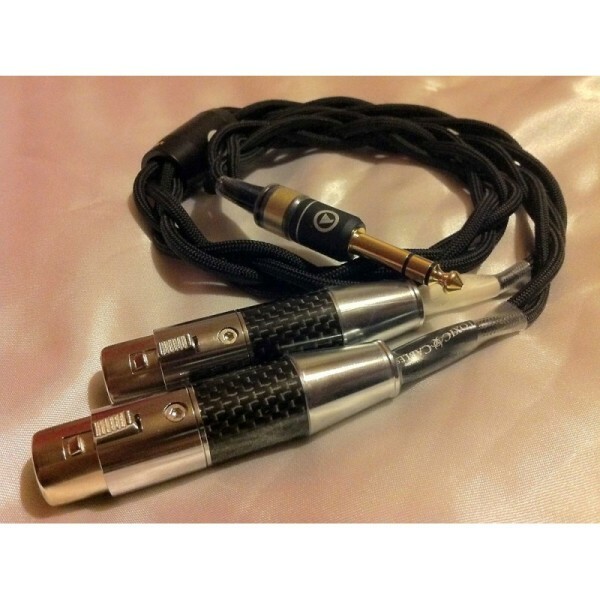 When bought with the cable the adapter will cost £185, if you require the adapter, then please email me and I will make a single private ebay listing for you. 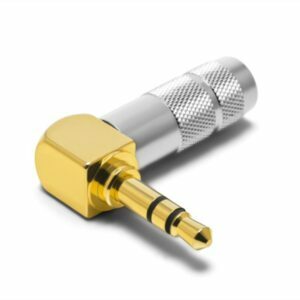 When the adapter is bought seperately it will cost £265. The adapter is 1ft in length. This cable is only available for the LCD-2/3 but I do make a compact adapter to allow you to use this cable with the Sennheiser HD800 and the Hifiman headphones. Please enquire for prices and pictures. 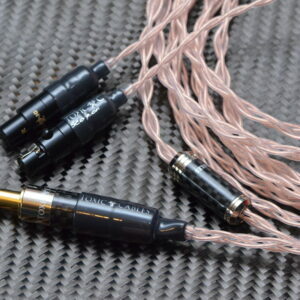 When I picked up the JPS Abyss, I noticed that with stock cable, whilst admittedly it was very good, I was left wanting more detail and lushness of the mids. I spoke to Frank about it and he suggested his TOTL solid core Venom. After the requisite wait, I will say that the wait was worth it – the Venom tightened up the stupendous bass of the Abyss and also ensured that the mids became that more lush. All this time, the soundstage of the Abyss was not impaired at all. What the Venom is was to take the Abyss to a whole new level and push it as far as it could go. The oft-heard complaint of the mids being a bit a recessed cannot be honesty put out with the Venom. One thing that the Venom brought to the table, for which I am grateful is the note weight of a solid core cable. Toxic Cables are pleased to offer these DIY pin plugs for your custom IEM projects. 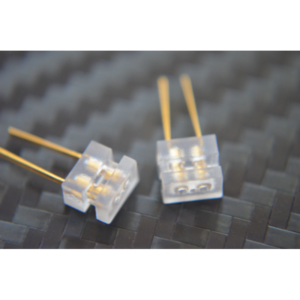 Contacts and solder tails are Gold plated Beryllium Copper. Appearances of Digital music players expanded the field of listening to music unlimitedly. 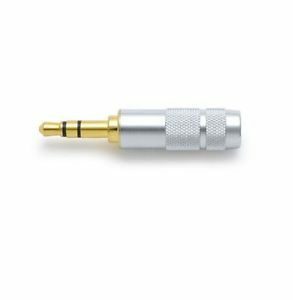 Due to their convenience and portability, not only general users but also audiophiles regard them as the music player of the new generation. 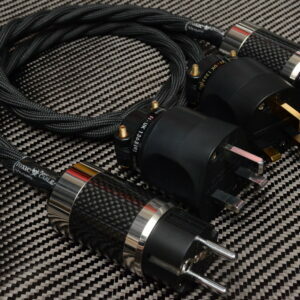 Toxic Cable is now proud to be launching our own line of power cables starting with our flagship Venom power cable.